GCG HEALTHCARE LTD was established in 1996 and is a Medical Scientific Consultancy specialising in providing independent regulatory support services for laser and intense light device (IPL) users such as private doctors, clinics, dentists, beauty therapists, health clubs and spas wishing to comply with current legislation. GCG Healthcare currently supports over 300 private medical practices, clinics and spas using in total more than 350 laser and pulsed light devices. We provide applications and accredited ‘Core of Knowledge’ training, clinical protocol, regulatory and safety procedure support. Dr Godfrey Town Ph.D. is a clinical technologist and scientist specialising in the comparative measurement of IPL and laser devices. He is a regular invited speaker at international aesthetic laser meetings and has published numerous scientific and clinical papers in international peer-reviewed journals on the use of laser and intense pulsed light (IPL) devices. Godfrey was awarded his Ph.D. for original research in light-based skin therapy as an Innovation Scholar at The Global Academy, University of Wales Trinity Saint David, Swansea, UK. 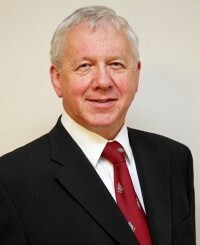 He holds a Certificate of Competence in the fields of Medical and Research issued by the Board of RPA2000 an Assessing Body recognised by the UK Health & Safety Executive (Certificate No: L00101), is a registered clinical technologist and provides consultancy services to several laser and IPL manufacturers. He has authored comprehensive Laser Hair Removal & Skin Rejuvenation training manuals and book chapters and has directly assisted in the staff training and commissioning of numerous laser skin care clinics. His technical knowledge is supported by over five years practical experience as an owner-manager of a successful UK private laser & IPL clinic. This involvement has provided him with an in-depth knowledge of what is required to produce successful outcomes for clients and makes him a useful resource for advice on maximising the success of a medical cosmetic business. Godfrey runs face to face workshops and training courses for healthcare practitioners and therapists in private practice providing applications training for users of light-based technology for hair and tattoo removal, facial skin rejuvenation, acne management and the treatment of benign pigmented and vascular conditions. Committee Member, Optical radiation safety and laser equipment BSI EPL/076, IEC TC/76 WG4, TC61 WG30 and ANSI SSC-3. Beverley Town is GCG Healthcare’s Administration Manager and is expert in handling all matters related to registration documentation and processes for cosmetic laser clinics. 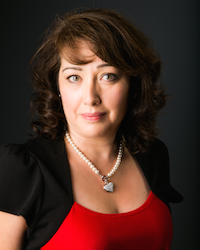 She has managed laser clinic registration documentation since 2001 including documentation for Special Treatments licensing for laser and IPL users under the London Local Authorities Act 1991. Beverley is an expert in practice management and has had extensive hands-on experience in running a successful laser clinic as an administration manager for five years. She remains active in this field providing weekly part-time administration at a leading private dermatology surgery clinic. She will help ensure your licensing documentation process is as smooth as it can be.